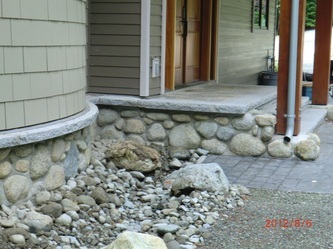 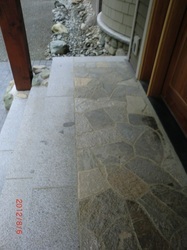 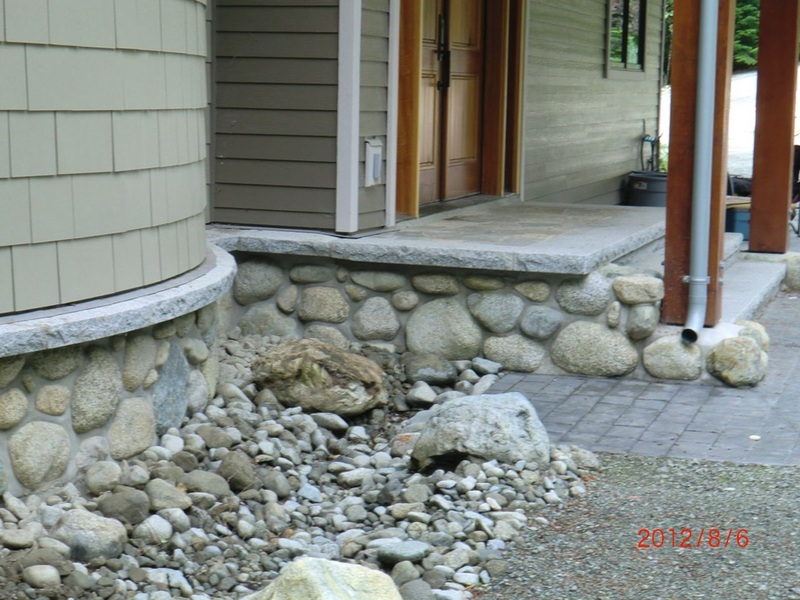 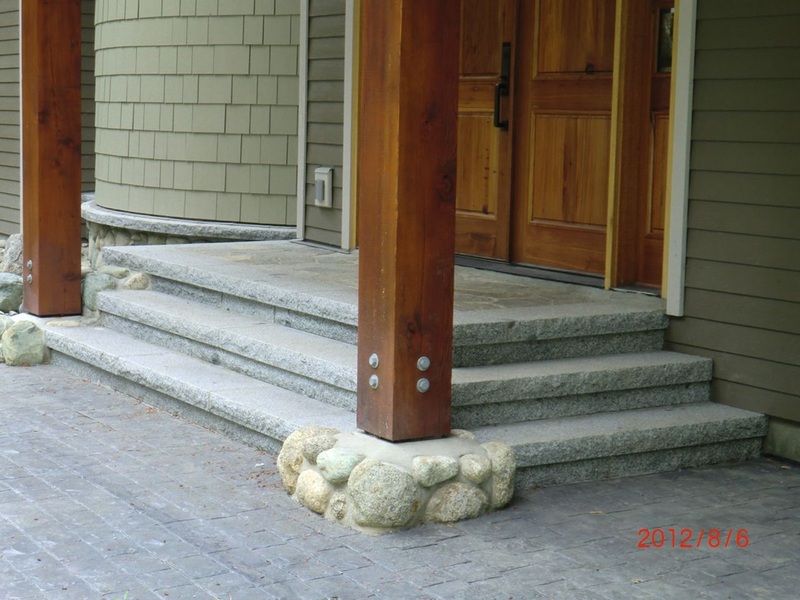 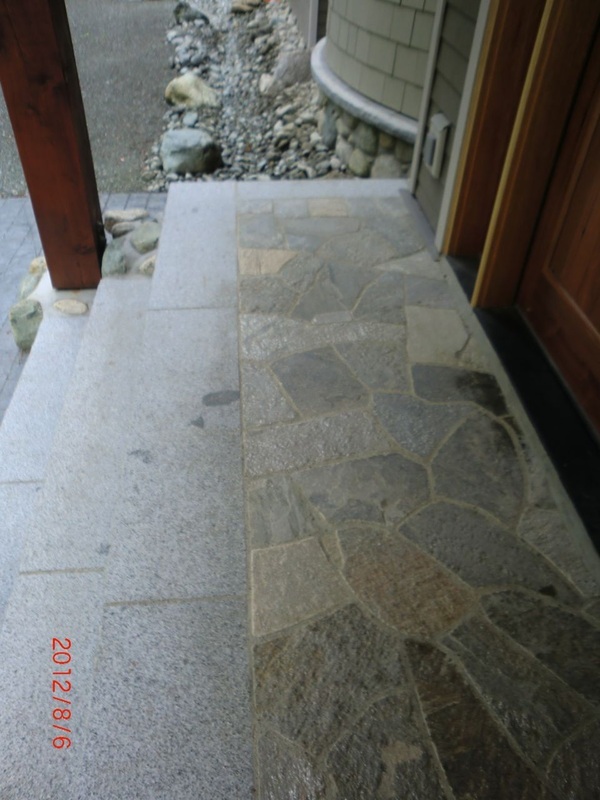 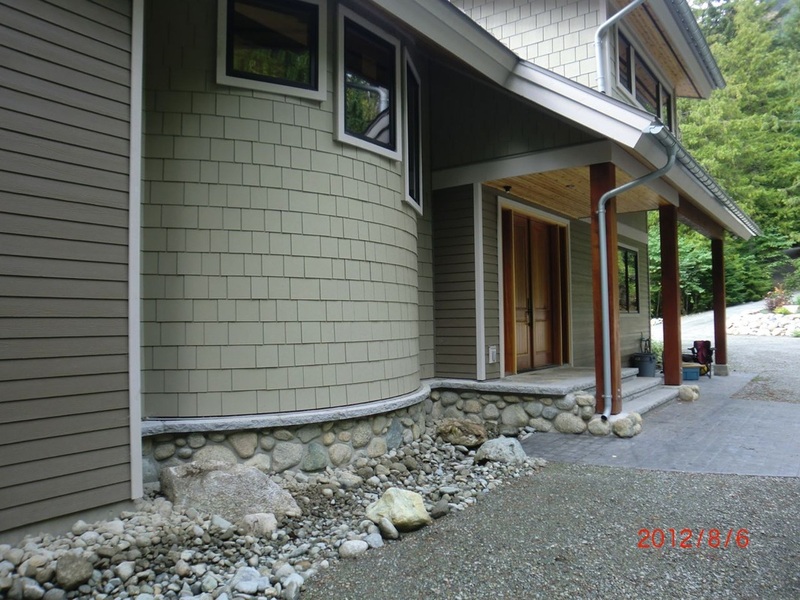 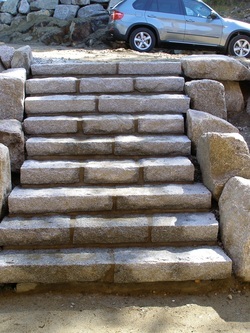 3" granite stock was used to create a simple profile on this entrance staircase. 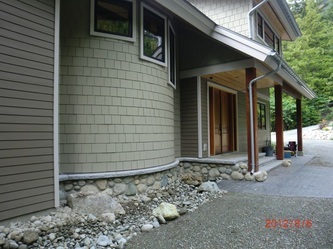 The wall cap, creates an appealing sense of continuity as it connects with the landing of the main entrance. 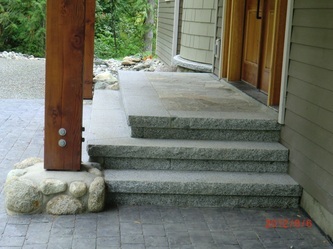 Basalt, 2 1/2" thick 14" deep form the steps between the various patio elevations in this landscape project.